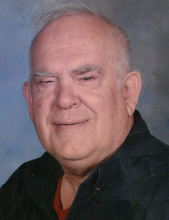 Charles T. Buers, age 81, passed away April 6, 2019. He was born December 4, 1937 in Salem, Michigan, son of the late Knowles and Nellie Buers. He is survived by his children: Doug (Tiffany) Buers and Duane Buers; his grandchildren: Jason (Jacque) Buers, Amanda Buers, Kendra Buers, Lauren (Ken) Beason, and Chelsea Craig; his great-grandchildren: Noah, Liam, and Harper. Charles is also survived by his sister, Liz (Jim) Neigh; his niece, Bekka; and his nephews: Matthew, Mike, and Mark. He was preceded in death by his wife, Phyllis in 2014 and his parents. Visitation will be held on Monday, April 15 from 10:00AM until the time of the funeral service at 1:00PM at PHILLIPS FUNERAL HOME, 122 West Lake Street, South Lyon. Charles will be laid to rest beside his wife in South Lyon Cemetery. To send flowers or a remembrance gift to the family of Charles T. Buers, please visit our Tribute Store. "Email Address" would like to share the life celebration of Charles T. Buers. Click on the "link" to go to share a favorite memory or leave a condolence message for the family.